This entry was posted in Book Review and tagged book review, chick-lit, romance, Sophie Kinsella, Wedding Night by Book Club Babe. Bookmark the permalink. I have had this book on my shelf & haven’t gotten to it. I have read a lot of Sophie’s other books & really liked I’ve Got Your Number, the book out before this one. I actually didn’t look at the blurb, because I knew I would like it. Thanks for the review! No problem! 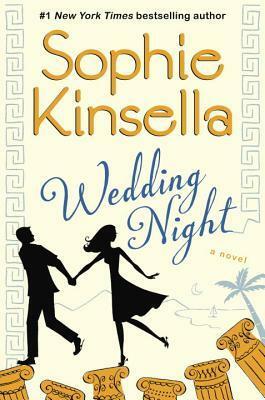 I’m a huge Kinsella fan too, and I had no doubt that I would like this book.